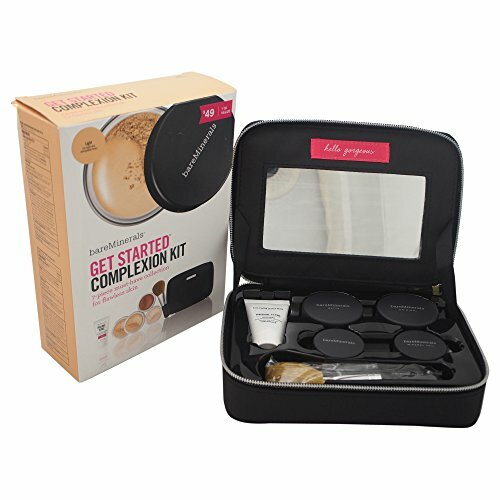 This 4 piece kit has everything you need for the ultimate bare beauty complexion. Get a natural, luminous finish and all-day good-for-skin coverage with the powerful combination of Prime Time Foundation Primer, ORIGINAL Foundation SPF 15 and Mineral Veil translucent finishing powder, and Beautiful Finish Brush. 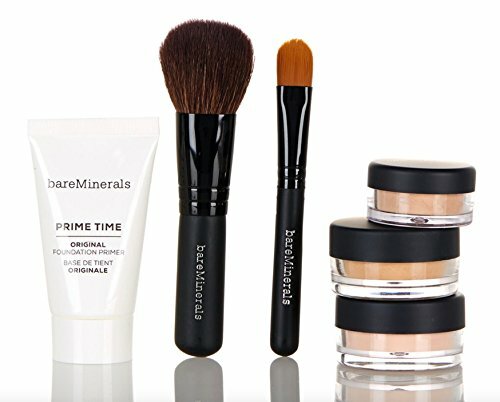 Set includes: Prime Time Foundation Primer (0.5 Ounce / 15 milliliter), ORIGINAL Foundation SPF 15 in Fairly Light (0.07 Ounce / 2 Gram), ORIGINAL Mineral Veil Finishing Powder (0.07 Ounce / 2 Gram), and Medium Beautiful Finish Brush. This 4 piece kit has everything you need for the ultimate bare beauty complexion. 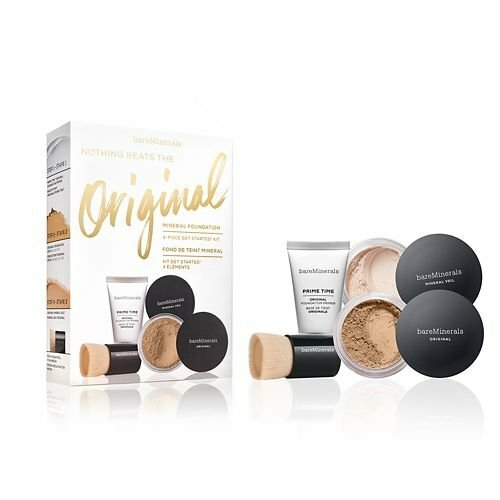 Get a natural, luminous finish and all-day good-for-skin coverage with the powerful combination of Prime Time Foundation Primer, ORIGINAL Foundation SPF 15 and Mineral Veil translucent finishing powder, and Beautiful Finish Brush. 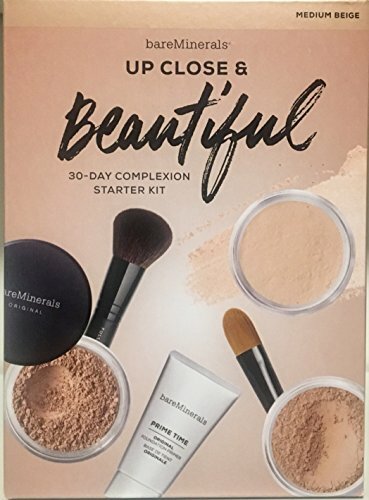 Set includes: Prime Time Foundation Primer (0.5 Ounce / 15 milliliter), ORIGINAL Foundation SPF 15 in Light (0.07 Ounce / 2 Gram), ORIGINAL Mineral Veil Finishing Powder (0.07 Ounce / 2 Gram), and Medium Beautiful Finish Brush. The bare Minerals Get Started Complexion Kit is the perfect introduction to the foundation phenomenon that kick-started a makeup revolution. The bare Minerals foundation is clinically proven. 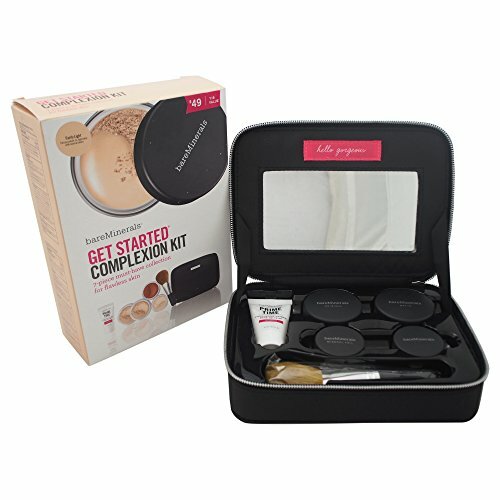 This 4 piece kit has everything you need for the ultimate bare beauty complexion. Get a natural, luminous finish and all-day good-for-skin coverage with the powerful combination of Prime Time Foundation Primer, ORIGINAL Foundation SPF 15 and Mineral Veil translucent finishing powder, and Beautiful Finish Brush. 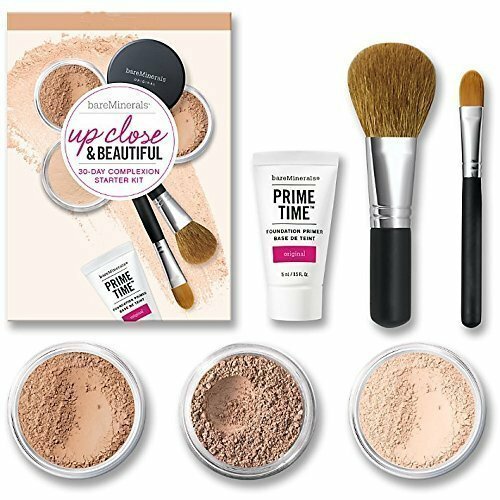 Set includes: Prime Time Foundation Primer (0.5 Ounce / 15 milliliter), ORIGINAL Foundation SPF 15 in Medium Tan (0.07 Ounce / 2 Gram), Tinted Mineral Veil Finishing Powder (0.07 Ounce / 2 Gram), and Medium Beautiful Finish Brush.